This traditional Italian appetizer platter comes with prosciutto crudo (dry cured ham), capicollo, Provolone Bocconcini cheese and Kalamata Olives. Served with fresh italian rolls. A twisted creation using our unique doiugh topped with anchovies, fresh garlic, virgin olive oil and special spices. one Pound of Steamed Atlantic Mussels in a Savory Tomato caper Sauce FInished with Fresh Parsley and Served with Crostini Bread. also available in a white wine sauce. ask server. A stirfry of sausage, green peppers, mushrooms, onions and special spices. Served with an warm Italian roll. An authentic italian vegetable soup with a medley of beans, dital pasta in a tomato base. An original classic created by Tony a blend of Sweet Roma tomatoes, fresh basil bocconcini cheese and extra virgin olive oil. Our special house salad consists of fresh lettuce, sliced black olives, feta cheese and our own house vinegarette. edmonton's first and finest new york style pizza's are made with fresh zesty homemade tomato sauce and fresh mozzarella cheese. Create your own master piece, or choose one of our awared winning specials. Tonys famous pizzas are made with a third generation family secret dough recepe that uses both a NY Syle and an italian traditional method to create the perfect pizza for your full enjoyment. Buon Appetito!!! Square Sicillian Pizza 12" x 16"
This Signature Dish, Features Italian Sausage, Summer Fresh Roma Tomatoes and Garlic Nestled in a Marinated Tomato Sauce Infused With Sambuca and Finished with Parsley. A hearty meat sauce that will satisfy your appetite along with your taste buds. Not happy with our recommendations? Mix and Match to create your own. Stuffed tube shaped pasta with veal, mozzarella cheese, baked in our famous bolognese sauce. Tony's..... An era of Greatness With 35 years of experience, Antonio Mazzotta has proven that he truly has mastered the art of a perfect thin, crust pizza! Without a doubt, it is his fine reputation and great cooking that bring many hungry clients. Over and over again throughout all of Tony's accomplishments, his greatest dream was to become a great "pizzailo" bust he has become the "Pizza King"! |Proudly Serving the Edmonton area for Over Twenty Five Years. Breaded tender Veal Fried in Olive oil. Served with Spaghetti Pomodoro or a Green Italian Salad with Either your Choice of an Italian Roll or Garlic Toast. Breaded Chicken breast baked infused with a drizzle of olive oil and oregano, Served with you cohice of Spaghetti Pomadoro or a Green Italian Salad and either an Italian roll or garlic toast. A strifry blend of veal, sausage, green and red peppers, onions and mushrooms in a marinated tomato base. Grilled boneless skinlesschicken breast seasoned with special spices served to you with a fresh garden salad. and a baked italian roll. Broiled barbequed baby back pork ribs spiced to perfection and served with either pasta of the day or a green italian salad with either an italian roll or garlic toast. your choice of either italian sausage, veal or chicken breast together with green peppers, onions and mushrooms, served piping hot on an oven toasted sub bun baked with mozzarella cheese. A hearty vegetable soup in a tomato sauce base, served with a fresh Italian Roll. Our Signature Pizza Crust topped with diced tomatoes and Herbs, Seasoned with Special spices. Lettuce, Feta Cheese and black olives all tossed together with Tony’s Special House vinaigrette. Fresh Tomatoes, Onions, Garlic, Olive Oil & Sweet Basil. No Substitutions Please |*Ask Server About Pizza Specials*|Tonys famous pizzas are made with a third generation family secret dough recepe that uses both a NY Syle and an italian traditional method to create the perfect pizza for your full enjoyment. Buon Appetito!! A traditional srir-fry dish from Southern, Italy which Comes with Sauteed mushrooms, green peppers, sausage and onions. A hearty meat sauce that will satisfy your appetite as well as satisfy your taste buds. Spicy Tomato sauce, green peppers and olives. Marinated Roma Tomato with garlic and freshly chopped basil. The absolute best restaurant in Edmonton. Everything on the menu is fist class and delicious with excellent service. No other restaurant can even come close to this one in Edmonton. Everything is perfect. 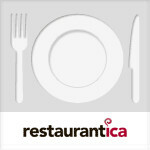 The service is nice, the food excellent whit a great ambiance.. whit kids is perfect too!